It’s faster and easier to improve something that’s already getting results, than to start from scratch. 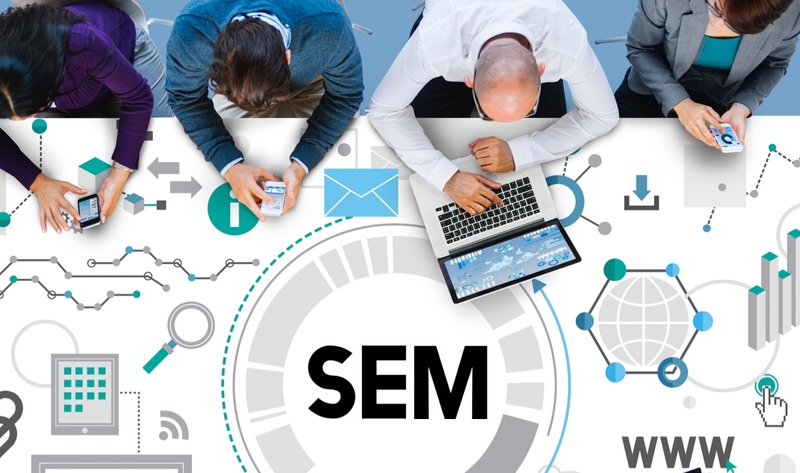 Internet marketing that involves creating a flow of visitors to a website from search engine results is called search engine marketing ( SEM ). For Google, this covers paid Adwords, the main Organic results and the Local ABC map results. The fact that people visit a website as a result of pro-actively searching makes them very hot-prospects for what you have to offer, so having your marketing message display in the results is extremely valuable. Google is the biggest target of SEM, but Bing is also a major search engine, and there are other large players that use a search engine to display results : two are Youtube & Amazon (Facebook and LinkedIn are different because they display ads based on demographics and preferences and not pro-active searches). Do you already have traction in search results ? Even if you’re not running paid Adwords, and haven’t done anything much about being seen in the main results you may already be showing up for some phrases in the main listings. You should have a look ! The new version of Google’s search console, released in early 2018, is MUCH better than the previous version for checking your traffic from search queries. If you haven’t hooked the console up, you can still learn a lot about what you’re appearing for already from other analytics tools like Matomo ( more info here ). Locate any phrases and pages that you’re already getting a good number of impressions for ( you may be surprised ). Next see if you can increase the clicks by improving the message in the META description and title ( that are usually displayed as the default text ). Make sure that the page itself makes an offer encouraging people to contact you or leave their contact details, like an email address. The most valuable asset of your business is your list or database of contact details for people who have shown interest in your product or service. 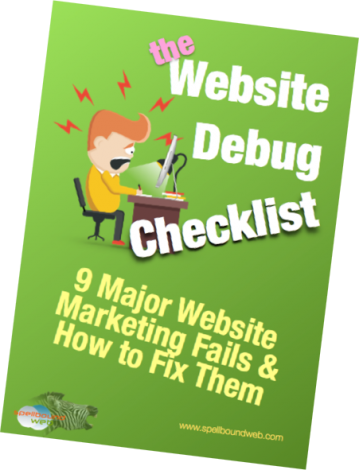 If your website isn’t doing this as effectively as you’d like, then download a free copy of the Website Debug Checklist here. Sponsored listings across the top and bottom of the search engine results pages (SERPS) with a little, green “Ad” icon at the front . These are paid-for, Pay-Per-Click (PPC) ads, where the advertiser bids a certain amount they are willing to pay each time their listing is clicked. Sponsored adds are also syndicated to other websites that form a Content Network ( Google calls their program AdSense ). Organic which are the main body of results. Marketing that increases traffic to websites by increasing search result rankings in the main body of results is called SEO. Search engine marketing is one way of delivering good quality traffic to a website. It’s not always the best solution due to the long wait in SEO and the cost of paid ads which have gone up a lot with Adwords. I now generally suggest starting with Facebook ads due to the incredible targeting options & lower cost. We run Facebook ads for our Jumpstart Campaigns. That said, SEM can provide huge exposure for a business and extremely proactive leads. The amount of income to a business, group or individual is proportional to the amount of attention received – which you can observe with celebrities or groups with well-know names. You become well-known by generating interest in what you provide or accomplish, and the first step is catching the initial attention.